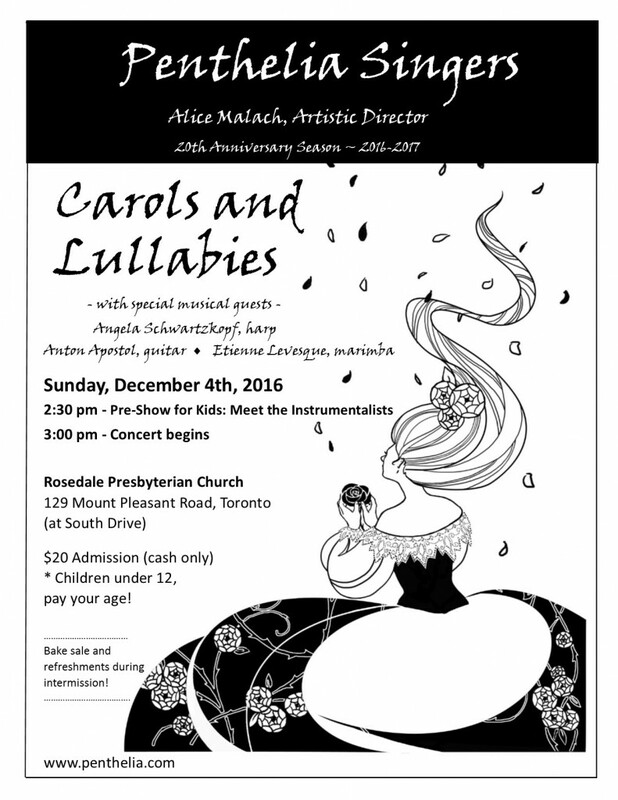 Join Penthelia Singers for an afternoon of beautiful seasonal music, featuring the enchanting Spanish and Catalan songs from Conrad Susa’s “Carols and Lullabies: Christmas in the Southwest”, selections from “A Ceremony of Carols”, and other holiday favourites. Alice Malach, Artistic Director. Sunday December 4, 2016 at 3:00pm. Rosedale Presbyterian Church, 129 Mount Pleasant Road (at South Drive), Toronto. Special children’s rate – all children 12 and younger, pay your age! Bake sale and refreshments available during intermission.